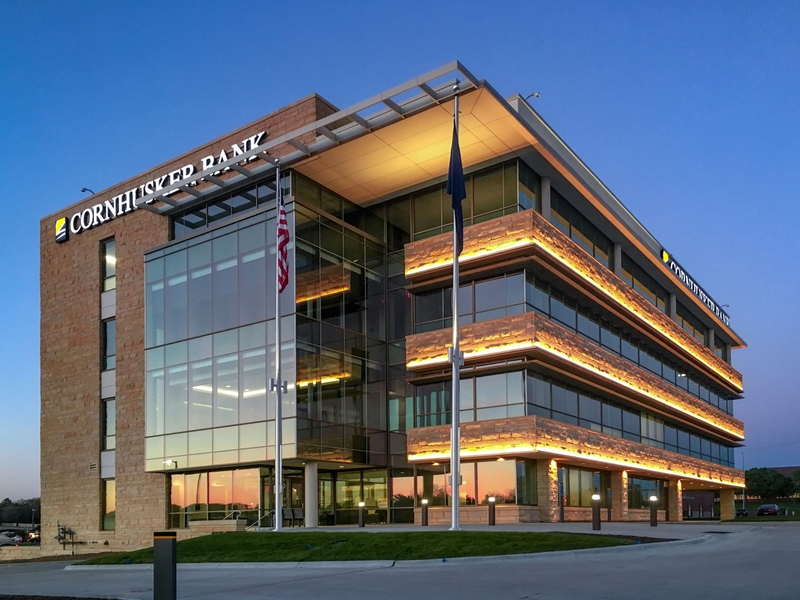 Sinclair Hille Architects was selected by Cornhusker Bank to provide architectural services for the new Corporate Bank Center and Branch Bank at 84th and ‘O’ streets in Lincoln, Nebraska. The four-story building includes 55,000 s.f. 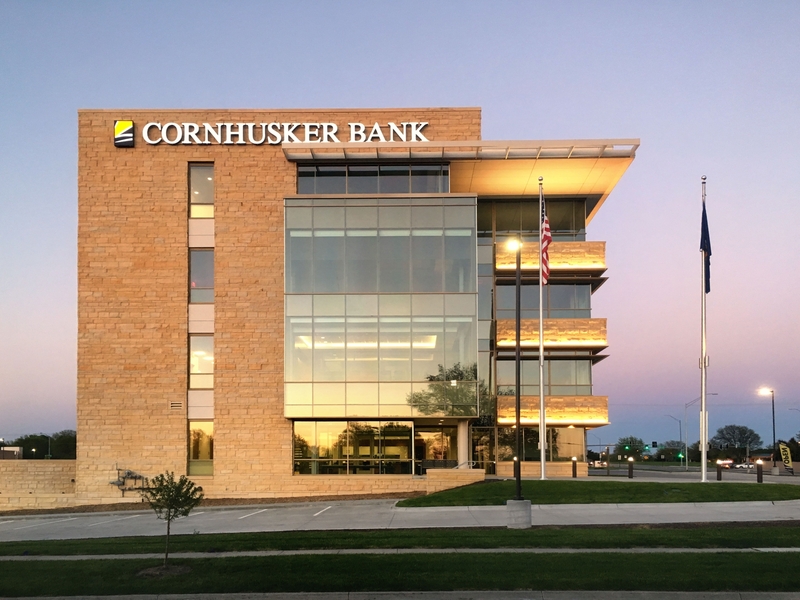 of space and will be the bank’s seventh full service facility. 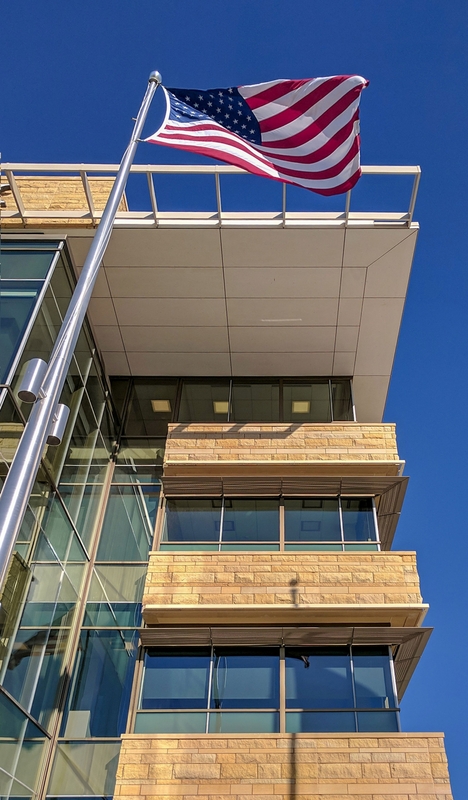 It will house the bank’s corporate offices, including retail banking, commercial lending, small business services, private banking, wealth management and insurance, as well as corporate offices, and operations and information technology departments. A 2,500 s.f. community room for use by bank associates and community groups is also an important feature of the new center. Synergies created by bringing together different departments of the bank will facilitate an enhanced experience for customers and associates. Official groundbreaking signaling the start of construction occurred in May 2015, with completion of the project expected in late 2016.